It’s Mom’s favorite time of year…and the kiddo’s least favorite. It’s back to school time! By mid August me and the kid will be fully re-immersed in packed lunches, homework, and project deadlines. 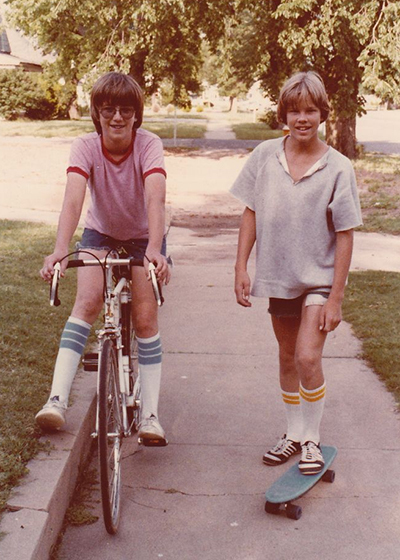 When I was going to school, that meant trying on everything in my closet, usually on the hottest day of the year, then trekking off to the Sears or Penney’s to replace what I’d outgrown. It was an endless task of fitting rooms and hoping my personal taste wasn’t what was going to get me picked on by the cool kids. 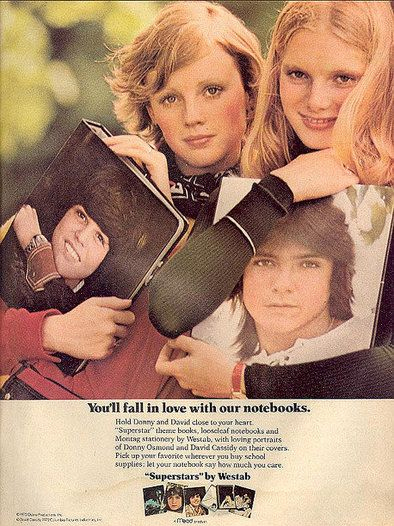 We’d shop for supplies, and I would be denied the 64 pack crayon box yet again, only to be consoled with maybe getting the notebook with a kitten on it. Tough times. I’m still not over it. What do you remember about back to school? 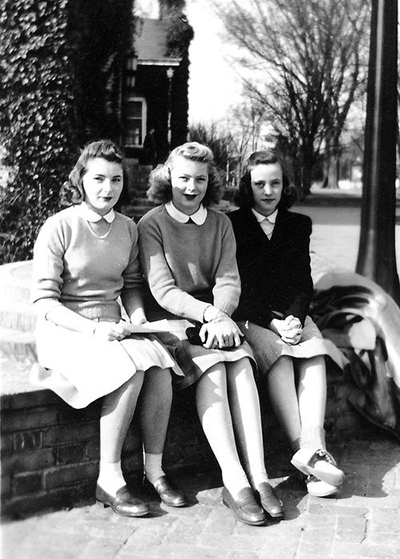 Was your school wardrobe smart sweaters, wool skirts, and penny loafers or saddle shoes? 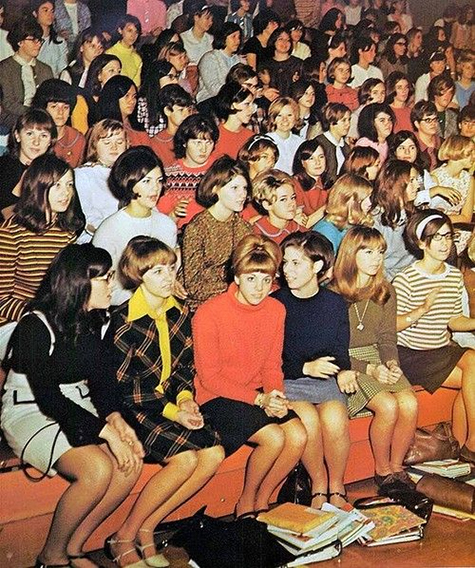 Maybe it was your letter sweater, sure to intimidate the Freshmen nerds and impress your best girl. 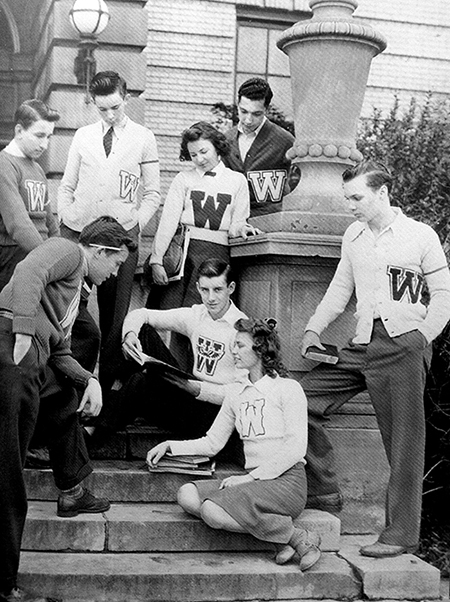 Or maybe you were one of the girls who earned her own letter sweater! Oh, school assemblies. Gosh, doesn’t it bring back memories, being squished hip to hip with ALL of your schoolmates in the hot gym? The strange air wilting your hair and will to live, as you listen to the principle drone on about something. Good stuff. At least the independent women of the 70s got to have awesome wide legged pants in their wardrobes! No more mini-skirted thighs sticking to the wooden desk seat. I’d wear that outfit on the left any day. 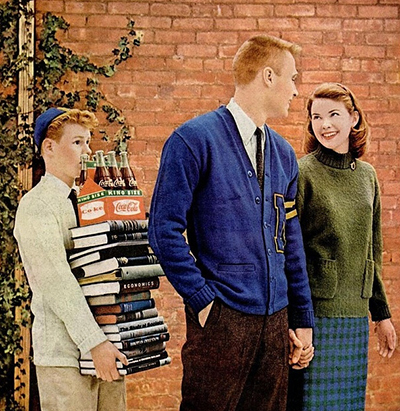 The boys weren’t excluded from the back to school stress. 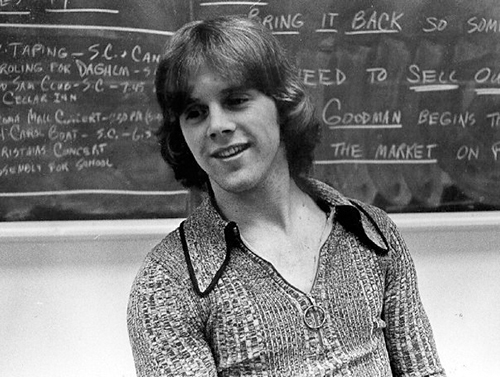 Every guy needed that casual zip-front top and Shaun Cassidy hair. Just in case he forgot the look, there was Shaun on his girl’s Westab notebook. Always be a Shaun, never a Donnie. So brace yourself, kids. It’s time for that glorious right of passage known as school. I’m so glad I’m done with it!